Thin and light 14 incher anyone? MSI has announced the UK release and price of the ultra-thin MSI X400 laptop. 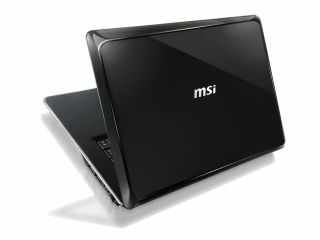 The MSI X400 has an Intel Centrino processor and is just 9mm thick at its thinnest point. With the most expensive version, the MSI X400-038 priced at £569, the laptop comes in 'piano' black and 'pearl' white (are pearls white or opalescent?) and has a UK release date of September. So, what do you get for your cash? The X400 weighs in at 1.5kg, has an Intel Centrino SU3500 CPU, a 14 inch 16:9 screen and half a gig of storage. A non-too-generous 2GB of RAM is bundled in, along with 2 USB ports, de rigeur 1.3 MP webcam and, drum roll, a bag. The cheaper X400-074UK has a 320GB HDD, a SU2700 CPU and no optical drive.